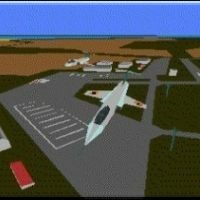 JetPilot has been developed to benefit every Amiga user. With limited scenery and all configurational options set to low, it will fly on a 68000 CPU with 1Mb memory, but to get the benefit of all the realistic features we recommend at least an 020 with 2Mb. Furthermore if you wish for high definition flying with up to 255 individual aircraft in operation then an 030 with 4Mb memory is your answer, and finally 060 users will be able to have the maximum settings.